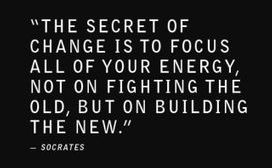 "All Citizens deserve a Second Chance"
Socrates stated, "The secret of change is to focus all of your energy, not on fighting the old, but building the new." This is the philosophy of The MAN Foundation (Men Alleviating Negativity)"All Citizens deserve a Second Chance" foundation. This foundation and rehabilitative service is dedicated to male African-American convicted felons (however, no one will be denied services based on gender, race, religion, sexual orientation or national origin) that want another chance at life to stop recidivism. This foundation will provide services such as resume writing, classes on professional etiquette and training on how to become readjusted to society after incarceration. In addition, the foundation has 3 phases and 6 action steps to include a family support/bonding group and a 26 week curriculum with 1-2 cohorts per year. The executive director, Dr. Jaclyn Walker has an executive board of 14 professionals to include educators, social activists, social worker, accountant and attorney to help make this foundation a successful initiative. Our main goal is to decrease recidivism and if you would like to volunteer, sponsor or donate, please click the donate button and fill out the response box. The kickoff meeting was held Friday, July 27, 2015 at the Portsmouth Partnership.